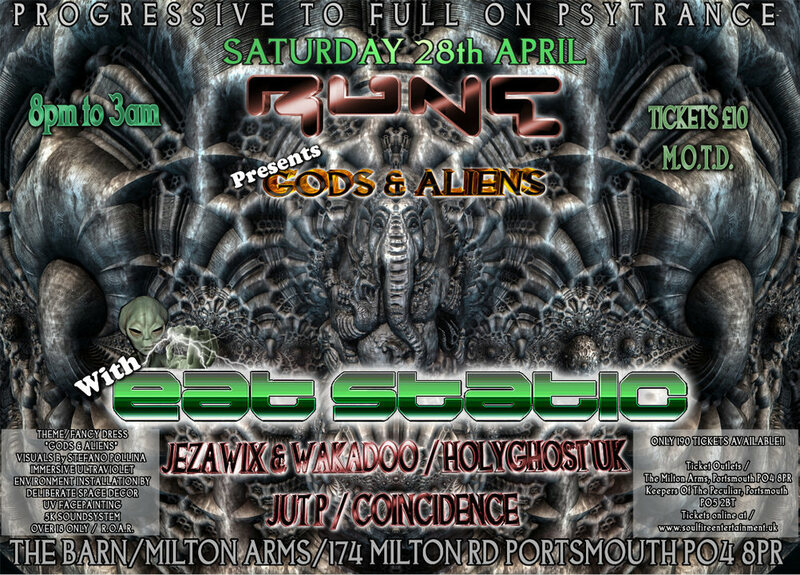 to full on Pumping PsyTrance from 9pm till 3am. Fancy Dress is Gods, Goddesses and Aliens!!! This event has only 190 tickets available and expected to sell out so get your tickets early!